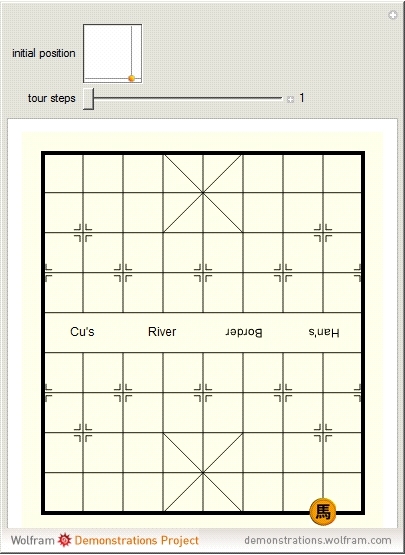 A knight's tour is a sequence of knight's moves that visit each square of an 8×8 chessboard once and only once. 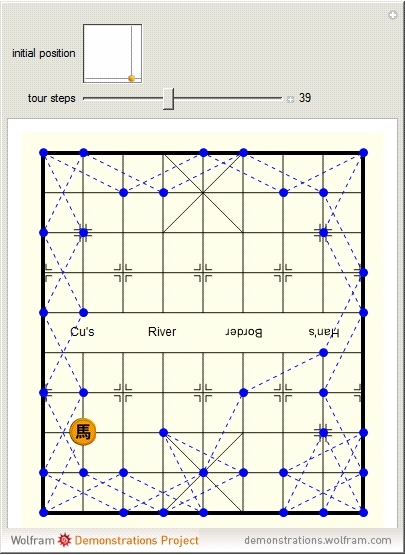 Finding knight's tours is a classic problem in computer science. 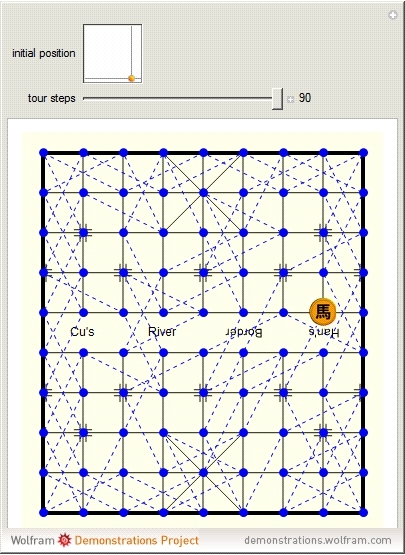 This Demonstration explores the knight's tour problem on the Chinese chessboard (also called Xiangqi), which is played on a 9×10 rectangular grid. The chess piece is called the horse (or "Ma"). "Thus tomorrow, as I have said, will be accomplished what I so much desire, enabling me lawfully to roam through all the four quarters of the world seeking adventures on behalf of those in distress, as is the duty of chivalry of knights-errant like myself, whose ambition is directed to such deeds." in Miguel de Cervates' Don Quixote, Chapter 3, 1615 (translated by John Ormsby).